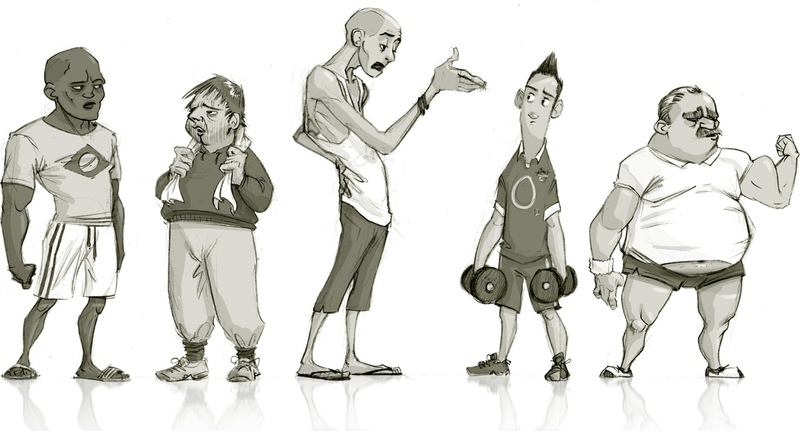 I come across all kinds of "interesting" individuals at the gym, from a character design standpoint, that is. Some more bearable than others, but visually entertaining nonetheless. you never fail to impress. I would kill to see these guys in an animation.